Did you know that voice controlled locks or locks that can detect your entry and open automatically are no longer the stuff of science fiction? 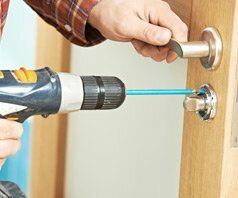 In fact, many modern keyless locks are now priced very reasonably and Town Center Locksmith Shop gets a lot of requests from people in Boynton Beach, FL who want to try them out. If you are planning to replace the locks on your property with newer models, don’t look further than our change locks service. We have been installing high-security locks – of all shapes and sizes – in the community for close to a decade. We are professionals, our services are reasonably priced and we carry locks from the biggest brands in the country. Call us on 561-328-2941 for our locks change service today!